A floral display blooms under a unassuming half-sphere in the Skygarden Series, designed by Marcel Wanders in 2007. "In my previous house I had a fabulous antique-decorated plaster ceiling," says Wanders. "I loved it so much that by the time I moved houses I had to find a way to take it to my new home." With his tools, he removed the design from the ceiling and incorporated it under the minimalist hood of the Skygarden Pendant and as a Recessed Ceiling Light. 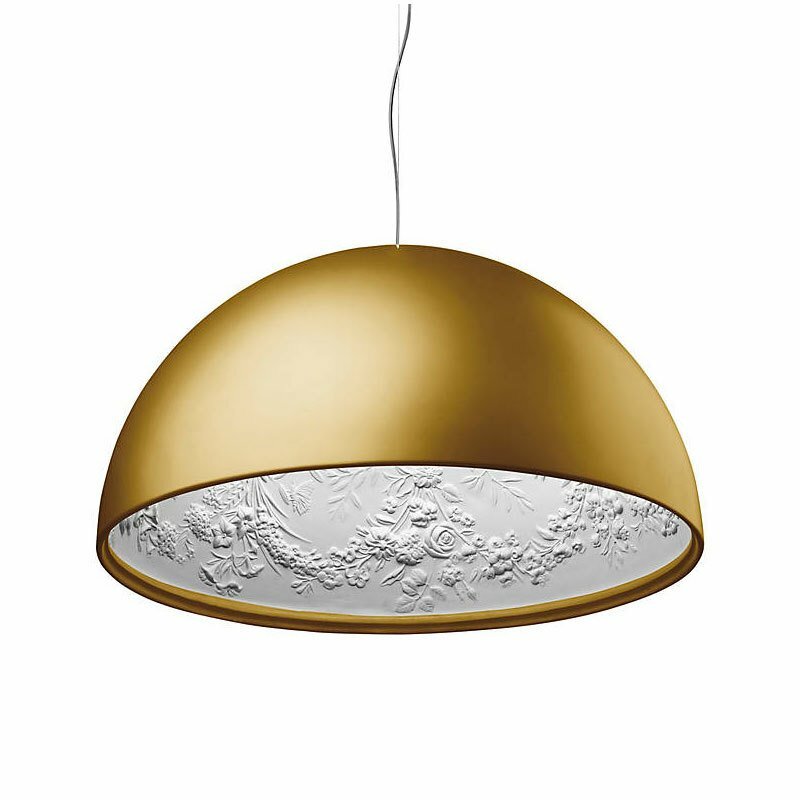 A blown opal glass diffuser covers the bulb, and the outer diffuser comes in black, white, bronze, or gold.